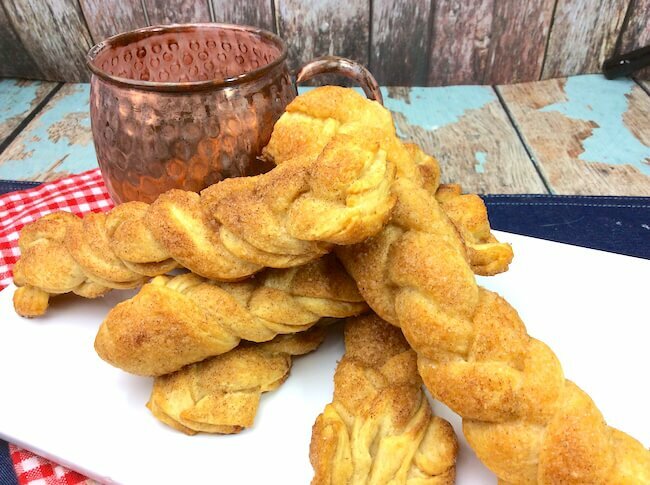 Inside: A fun twist on breakfast — the whole family will love these easy Cinnamon Crescent Roll Braids! 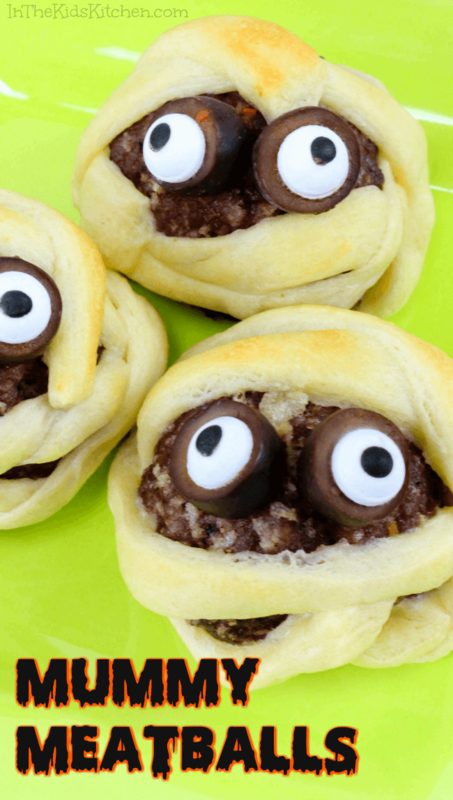 The best thing about crescent rolls is that you can make so many yummy things with them! Like this delicious breakfast treat. 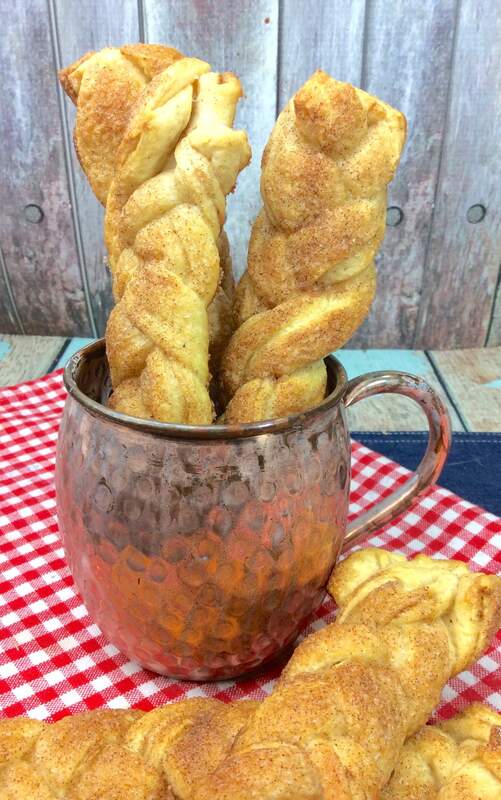 Cinnamon Crescent Roll Braids are easy to make (only 4 ingredients!) and easy to eat (they’re handheld & portable!) 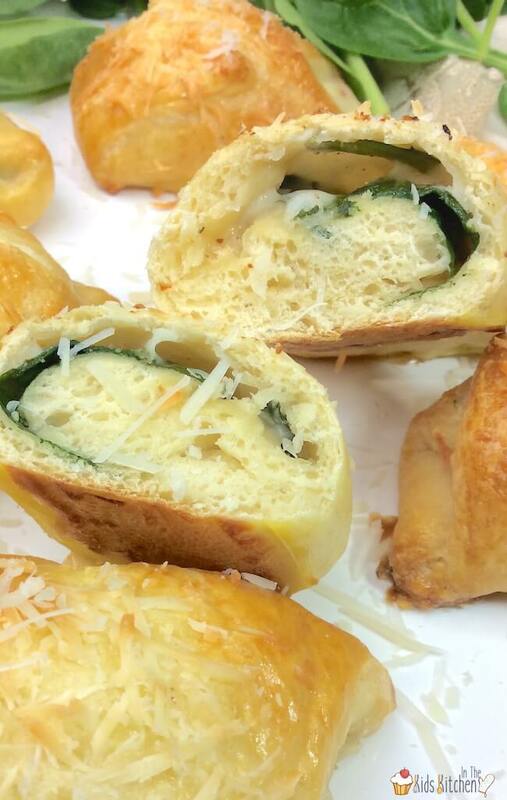 Try them for a special occasion breakfast this fall to warm up little tummies! Remove crescent roll dough from can and spread on a baking pan lined with parchment paper or a silicon baking mat. Arrange dough so that you have 4 rectangles. Stuff we love: We’ve switched to reusable silicon baking mats for most of our baking because they’re non-stick, easy to clean, and save trees! Mix together your brown sugar, sugar and cinnamon in a small bowl and set aside. In a separate microwave-safe bowl, melt your butter in a microwave for 15 seconds. Stir to ensure even melting. Spread melted butter onto 2 of the rectangles, then sprinkle with a generous coating of cinnamon sugar mixture. Take the two non-buttered rectangles and put those on top of your buttered and cinnamon/sugar pieces. Press edges together to seal. Cut both of your layered dough rectangles into 3 strips and top with any reserve melted butter. Keep your strips next to each other, pinching along the top to secure 3 strips together. 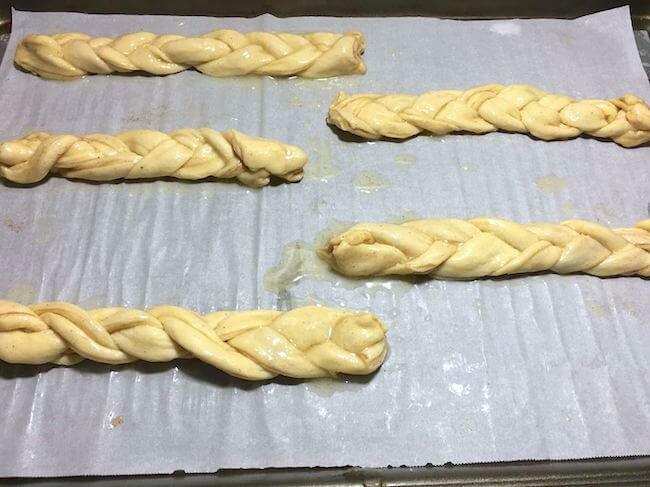 Start to braid your strips like you would braid hair. One over the other until you reach the end. Pinch the other edge together to hold your braid. Bake for 8-10 minutes at 375°F. Remove and allow to cool slightly before serving — best enjoyed warm.